And yours truly is featured, well in the audience at the end. Got it today and watched it. Were you the one standing up and applauding at the end? Got the Tosca and watched it last night. Were you the one applauding at the end? It was ok. I'll decline to provide details, of which there are many, but I liked Gheorghiu much better in the filmed version with Alagna a few years ago. Kaufman was a standout imo. I prefer the aging Ruggiero Raimondi as Scarpia rather than Terfel's butcher boy apprentice approach. The stage direction was at some points clumsy and uninspired. Fine orchestra and, for the most part, singing. Hadn't seen Gheorghiu live for some time. (As someone said, close-ups are not for opera, at least in her case here). Just got Mozart's "Complete" operas: (not entirely complete I see!) and I also downloaded the incidental music for Thamos King of Egypt. I also ordered Jacob's version of Figaro. Haydn's Armide, Puccini's La Rondine, and Berlioz, Les Troyens. Problem? I don't listen to enough opera to justify all these purchases!!!! D'oh. Oh well, life's short right? Finally! Out February 17 in UK, not up at Amazon.com yet. Region 0, don't know if the disc is NTSC or PAL, but my player converts. Seeing the Live HD last March was a transcendent experience for me, and I think this is one for the ages. I hope (pleasepleaseplease) Gelb is locking Girard in for another production. But Sony marketing department thinks otherwise Do they think Parsifal (all 5.5 hours) is an impulse buy and the curly haired tenor on the bed will be the key to sales???? They must be thrilled with Hoodiereisse then (not a curl in sight). Last edited by Rackon; Jan-17-2014 at 05:14. I used to own it on LP, way back in the day. It's been mentioned a few times in the bel canto threads, so I thought it was time I owned it again. Yes, yours is the most recent Revenant. Without booklet I believe. CD instead. Yes, mine comes with booklet and translation. I much prefer that to having to download it from a website. Good point. I always prefer to have the printed booklet. Luckily for me, I have a very good compilation of libretti in one book, including GT, so luckily that did not become an issue for me in purchasing the cd set. Working through Rossini, that relative inconnu (for me). 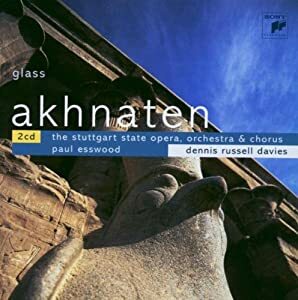 Got this cd set recently, as a friend recommended this version over Moise et Pharaon. Last edited by Revenant; Jan-19-2014 at 00:45. 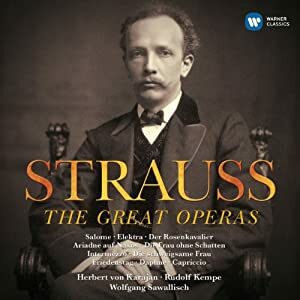 I stumbled upon a used copy of Leinsdorf's recording of Strauss' Salome for £4 in the window of a local Charity Shop and had to pick it up. Montserrat Caballe is one of my favourite Sopranos and from the brief testing I have done shines very brightly here. The outer jacket shows some wear and tear but the contents are in superb condition. I'm happy to give this recording a home plus it helps a Charity which is always a pleasant bonus. "It's discouraging to think how many people are shocked by honesty and how few deceit." "To recommend thrift to the poor is both grotesque and insulting. It is like advising a man who is starving to eat less." I have this recording and enjoy it very much. Caballe actually sounds like she could be a teenage girl, and Milnes' Jochanaan -- fantastic! This even has Richard Lewis as Herodes, a lyric tenor rather than a character tenor or some over-the-hill Heldentenor. All times are GMT +1. The current date and time is Apr-25-2019 17:06.